"To say that Jubilate! is a group of talented people that embodies a faithful, loving and welcoming spirit would be a huge understatement. Their music radiates these attributes so strongly that experiencing them live is an absolute must." Jubilate!, pronounced "yü-be-lä-tay", means "Shout for Joy!" As an eccumenical group, our mission is to share God's word and glorify Him through music. Born out of a desire to share the gift of ‘a cappella' choral music with the Boulder community, and to grow musically under the directorship of a gifted and inspiring director, Jubilate! Sacred Singers began in 2002. With an initial membership of 30, they pledged their resources and accepted the challenge of learning an extensive and varied repertoire that could be tailored to a range of venues. The choir sings primarily ‘a cappella' choral music, and rehearses and performs without accompaniment. 1) Churches: perform concerts and services several times a month. 2) Under-served populations: perform frequently for residents at retirement centers, hospitals and hospice facilities. Jubilate! performs several major concerts each year, tours and recordings:every other year, Jubilate! commits to a tour or professionally recording. Jubilate! does not charge for its service, but survives financially through member and individual support, local grants and voluntary support from organizations. Through their efforts, the members of Jubilate! bring quality, and free musical performances to Colorado Front Range residents almost every week of the year. Dr. J. Arturo Gonzalez Rivera (BA Orchestral Conducting, Conservatorio Nacional de Música, MA Choral Conducting/Sacred Music, Southern Methodist University, Ph.D., Choral Conducting, University of Colorado), was selected in November of 2009 to be the Artistic Director of Jubilate! Sacred Singers. He has also studied at Westminster Choir School, and at the University of New Mexico under several prominent choral conductors. Arturo was a semi-finalist in the 2009 American Choral Director Association conducting competition. Arturo has been a faculty member of El Paso Community College, the University of Texas in El Paso, East Central College in Saint Louis, Missouri, and the University of Chihuahua in Mexico. He has directed choirs and orchestras since age 17 in Mexico, Central America, the US, and Spain. 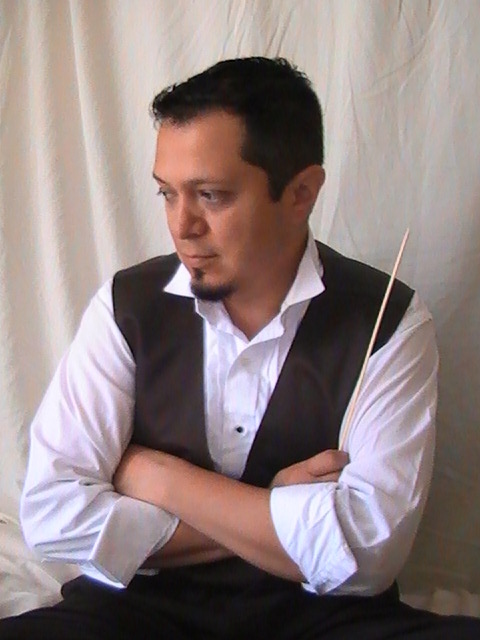 He has been guest conductor of the symphony orchestra of the National Conservatory of Music in Mexico City, and the State Chamber Orchestra and Choir in the state of Queretaro, Mexico and music director of El Paso association for the Performing Arts, Ballet/Theatre of the Border, East Central Summer Productions, Midwest Lyric Opera, and the Colorado Light Opera. His choral arrangements have been published by Choristers Guild and Asbury Press. Arturo and his wife Priscilla reside in Longmont with their sons Emmanuel and Benjamin.